A unique combination of a high protein content nutrient with ZMA for the night. 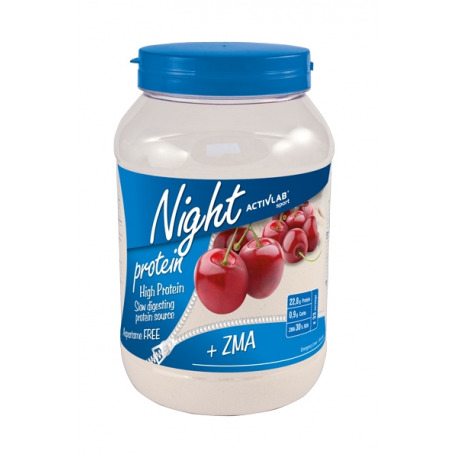 Night Protein + ZMA comprises a composition of WPC and calcium caseinate, i.e. proteins of a dierent rate of digestion and absorption, thus facilitating continuous supplementation with amino acids through extended periods, especially during sleep. Protein contributes to a growth in muscle mass. Vitamin B6 and magnesium contribute to the reduction of tiredness and fatigue. Zinc contributes to normal protein synthesis and the maintenance of normal testosterone level in the bloodstream. The product is recommended both for body regeneration and throughout the muscle mass building cycle. 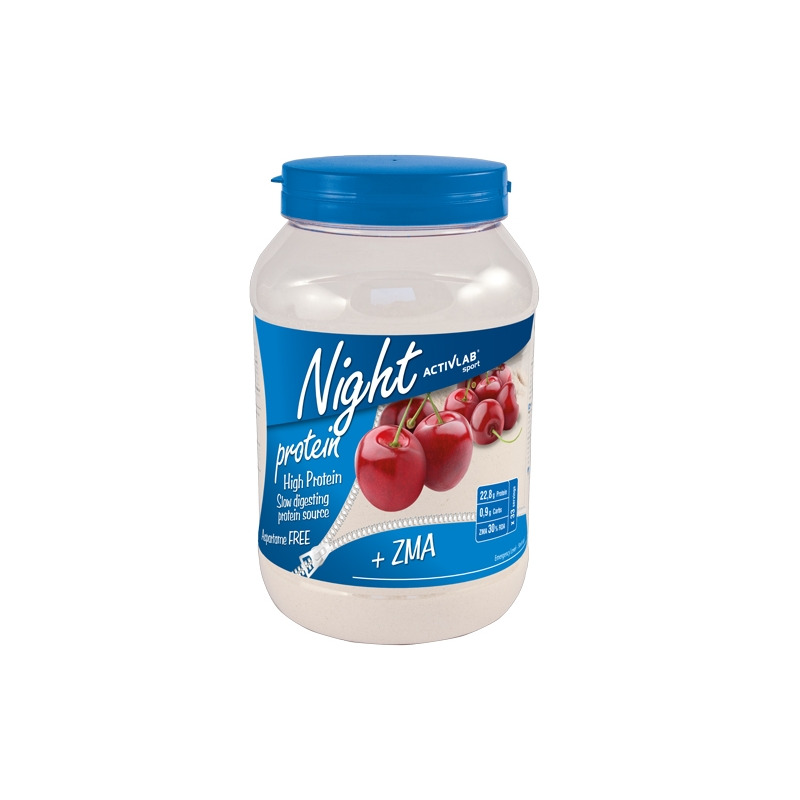 Ingredients: Night Protein Blend (whey protein concentrate, calcium caseinate), aromas, magnesium carbonate, acidity regulator: anhydrous citric acid, thickener: E466, colourants: E124 – may adversely affect the activity and concentration in children (yoghurt-cherry flavour), E150c (chocolate, mint-chocolate and nut flavours), E171 (vanilla flavour), sweeteners: acesulfame K and sucralose, zinc bisglycinate, pyridoxine hydrochloride. Contains milk derivatives, may contain trace amounts of wheat, eggs, soybean, mustard seed and celery derivatives.